But it was a scholar-evangelist from the Anglican Church, Bishop Robert Caldwell (1814-91), who pioneered what now flourishes as the “Dravidian” identity. In his Comparative Grammar of the Dravidian Race, he argued that the south Indian mind was structurally different from the Sanskrit mind. Linguistic speculations were turned into a race theory. He characterized the Dravidians as “ignorant and dense,” accusing the Brahmins―the cunning Aryan agents―for keeping them in shackles through the imposition of Sanskrit and its religion. Meanwhile, an increasing number of Tamil leaders began to embrace the Dravidian identity. This evolved into Tamil chauvinism that was initially secular and not religious. It was fed by the theory that in the Indian Ocean there once existed a lost continent called Lemuria (similar to the Atlantis myth), the original homeland of the Dravidians. Accounts glorifying Lemuria were taught as historical fact under British rule, because this exacerbated the regional fault lines. After India’s independence, Dravidian identity entered politics, and now dominates the state’s power structure. The preposterous claim is that Tamil classical literature originated in early Christianity. The Tamil classical tradition consists of two great components: an ethical treatise called Tirukkural (abbreviated Kural, authored by the great sage Thiruvalluvar), and a sophisticated Vedanta philosophical system called Saiva Siddhanta, which traces its origins to the Vedas and was nurtured by many Tamil savants over the centuries. Dravidian Christianity appropriates both these foundational works, attributing them to Christian influence. To make this credible, the pre-Christian date for Kural has been replaced by more recent dates. 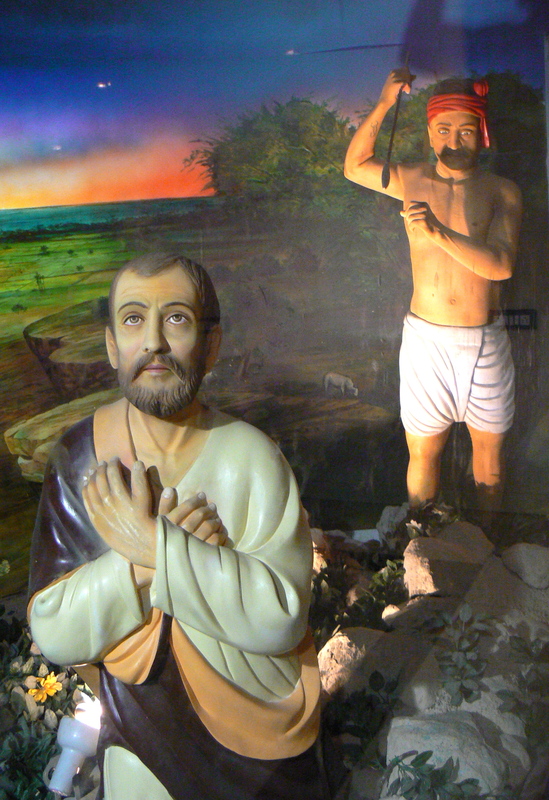 The narrative used is that St. Thomas, the apostle, visited south India and taught Christianity to the great sage, Tiruvalluvar, who was inspired by Christianity, but did not capture St. Thomas’ message accurately. This is often portrayed in recently published paintings showing the sage sitting at the feet of St. Thomas, taking notes. Sanskrit is downgraded as a language created by St. Thomas to spread the Christian message to the uncivilized north Indian races. Dravidian Christianity has penetrated high places. For instance, Marvin Olasky, an advisor to President George W. Bush, declared that “the two major denominations of Hinduism―-Vishnu-followers and Shiva-followers―arose not from early Hinduism but from early Christian churches probably planted by the apostle Thomas in India from AD 52 to 68.” He goes on to explain to his American readers how Christianity brought many key notions into Hinduism. This entry was posted in apostle, dravidian race theory, hinduism, history writing, indian history, religion, st. thomas, thomas the apostle and tagged alexander campbell, apostle thomas, aryan invasion theory, brian houghton hodgson, christian missionaries, christianity, dravidian, dravidian christianity, early christianity, father heras, francis ellis, g.u. pope, hillary clinton, hinduism, india, lemuria, lemurian theory, marvin olasky, rajiv malhotra, robert caldwell, tamilian, tirukkural, tiruvalluvar. Bookmark the permalink.